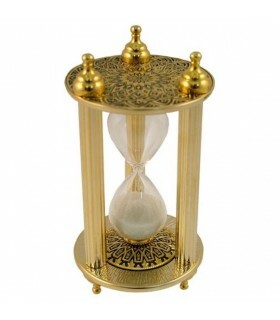 Sand medieval clock capable of measuring up to 5 minutes. Made of resin. 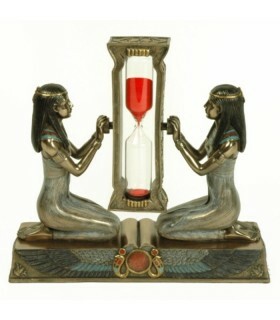 Egyptian sand clock made in decorated resin. Dimensions: 17 x 5 x 16 cm. The Egyptians were one of the first towns to divide the days into equal parts, using time measurement instruments such as sundials, sand and merjets, some sinkers used by astronomers of the period. 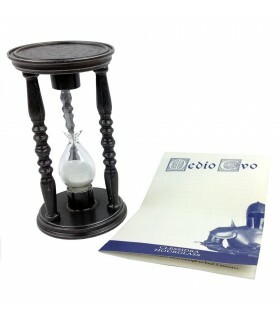 Isis Egyptian sand clock made in decorated resin. Dimensions: 17 x 5 x 16 cm. Approximate time: 4-5 minutes <./ P>The Egyptians were one of the first towns to divide the day into equal parts, using time measurement instruments such as sundials, sand and merjets, some sinkers used by astronomers of the period. 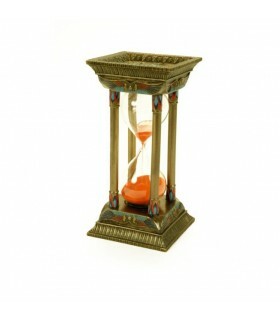 Column Egyptian sand clock 5 minutes. Size: 8 x 8 x 16 cm. 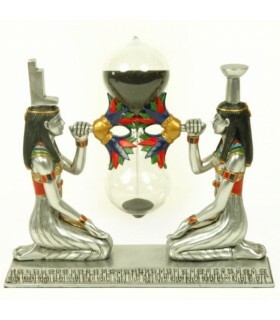 The Egyptians were one of the first towns to divide the days into equal parts, using time measurement instruments such as sundials, sand and merjets, some sinkers used by astronomers of the period. 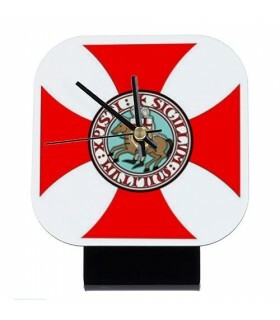 analog clock with quartz movement with the design of the sword and shield of the Knights Templar. Gum bracalet. 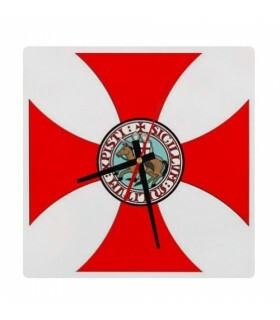 Table clock round with the design of the Knights Templar. The perfect size to not take up too much space on a work table. 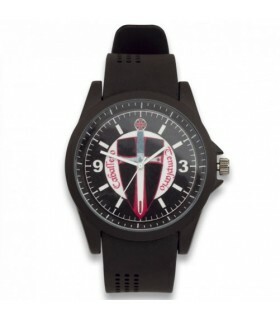 Includes mechanism analog needle of hours, minutes and seconds and foot support. NOT included battery: Requires 1 AA alkaline battery 1.5 V.
Table clock square with the design of the Knights Templar. The perfect size to not take up too much space on a work table. Includes mechanism analog needle of hours, minutes and seconds and foot support.NOT included battery: Requires 1 AA alkaline battery 1.5 V.